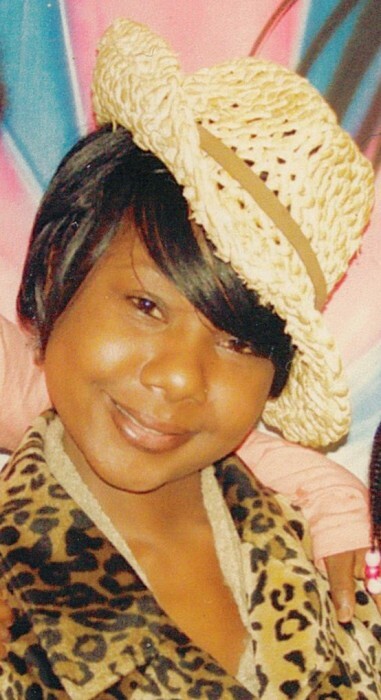 Obituary for Tracy Alonda Lattimore | Genesis Funeral Services & Chapel Inc.
Shelby - Tracy Alonda Lattimore often called “Cowgirl”, age 32, peacefully transitioned home to be with the Lord on December 3, 2018 at Hospice of Cleveland County, North Carolina. Tracy was born February 7, 1986 and was raised in Lawndale, North Carolina. Tracy attend Burns High School. She was a former employee of Clearwater Paper. Tracy had a beautiful smile that would brighten up a room along with her outgoing personality. Tracy took much joy in being a mother, and she love her daughter with all of her heart. She enjoyed being a care taker “she loved people.” Tracy took much pleasure in cooking, her “Spaghetti” being a favorite of many. Tracy enjoyed spicing up her fashion by always including a nice hat and a fur coat that made a statement all by them self. Tracy past time interest was listening to music. Her all-time favorite was TI “Still Ain’t Forgave Myself.” Tracy also loved to dance. Trust me if she wasn’t dancing something was wrong! All in all, Tracy loved the Lord which explains her heart of gold that will continue to fill our hearts now that she has gone on to be with the Lord in Heaven. Rest Easy Tracy! Tracy was preceded in death by her grandparents; Corene Littlejohn. Mamie F. Lattimore, Worth Lattimore, two uncles; Robert Littlejohn, Leon Lattimore, and an aunt; Jeannette Lattimore. Left to cherish her memories: her daughter; Mahogany J. Kee of Shelby, North Carolina, her mother; Patricia Lorraine Wilson (Scottie), father; Michael Freeman Lattimore (Bessie) of Lawndale, North Carolina, sister; Mona Bowen, brother; Mecos S. Lattimore both of Lawndale, North Carolina, grandfather; James E. Littlejohn, Sr. (Marilyn) of Lawndale, North Carolina, aunts; Charlotte Ussery, Pricilla Wilson (Bryant), of Lawndale, North Carolina, uncles; Edward Littlejohn (Sybil) of Cherryville, North Carolina, James Littlejohn, Jr. (Hazel) of Forest City, North Carolina, a special friend; Markita Beam, a close cousin; Kelly Bell and a host of other relatives and friends. Funeral: Saturday, December 15, 2018 at 3:30pm at Genesis Funeral Services & Chapel in the Otis Mobley Jr. Memorial Chapel ( 407 E. Grover Street). The family will receive friends 30 mins prior to the service. The family will be meeting at the home of Pricilla Littlejohn Wilson 105 Henry Street Lawndale NC. 28090.